Cheese Puff Put a layer of broken soda crackers in a buttermeal dish Slice some cheese thin and [illegible] a thick layer on the crackers, then another layer of crackers. Warm 3 cups of milk. add a small pinch of [illegible] bean 2 or 3 eggs. 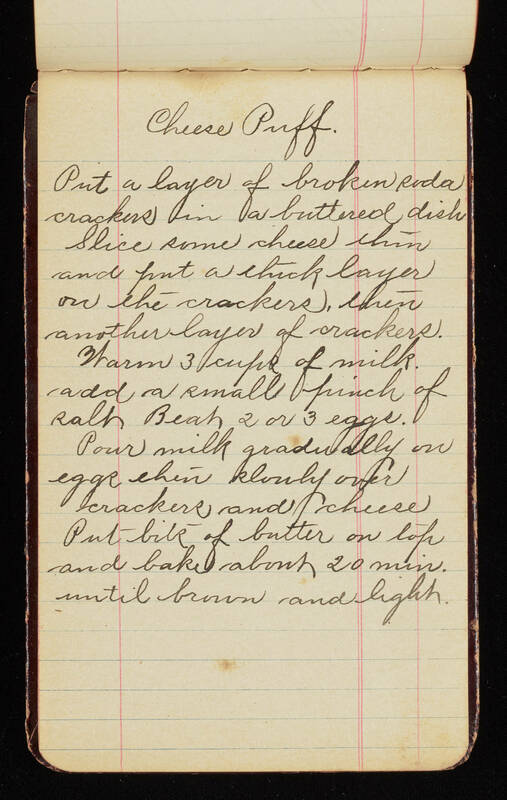 Pour milk gradually on eggs chin [illegible] over crackers and cheese. Put [illegible] of butter on [illegible] and bake about 20 min. until brown and light.